Dr. 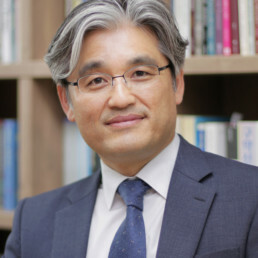 Sung Kook Jung (BA, Korea University; MDiv & PhD, Westminster Theological Seminary) is Associate Professor of the New Testament at the Asia United Theological University in South Korea. His special interests are Pauline theology, the New Testament’s use of the Old Testament, the early church’s missionary movements, and hermeneutics. He has passion for establishing a sustainable community of hermeneutic scholarship based on biblical, missional theology. He recently published Meditation and Interpretation: Rooted in Jesus Narrative in Korean. With his wife, Kiwon, he has three daughters (Eunhey, Eunbi, Eunyul). He loves to play tennis.